The WIA National Office volunteer staff have been very busy today Tuesday and have packed all outstanding back orders for the 2009 Amateur Radio Callbook. 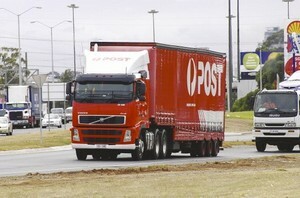 All the boxes and mailbags were loaded into a 4WD and taken to the Bayswater district Mail Centre for despatch. If you have placed an order look out for it in your mail box in the next few days. If your Club has ordered, then give your Club a few days to receive the box. As it is nearing Christmas Australia Post is very busy and we know they will do their best to get the parcels through as quickly as possible. We trust that you will enjoy the new layout, the extra information and the overall presentation of the 2009 Callbook.